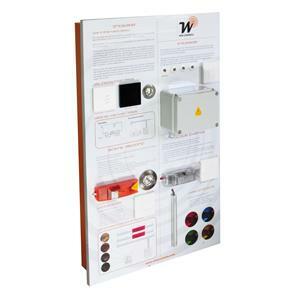 The Wise Box Table Top Display designed with wholesalers in mind, its the perfect solution for showcasing the features of the Wise Controls wireless lighting to any customer. The Wise Box Version 2 Kit is an updated version of the original Wise Box Kit. 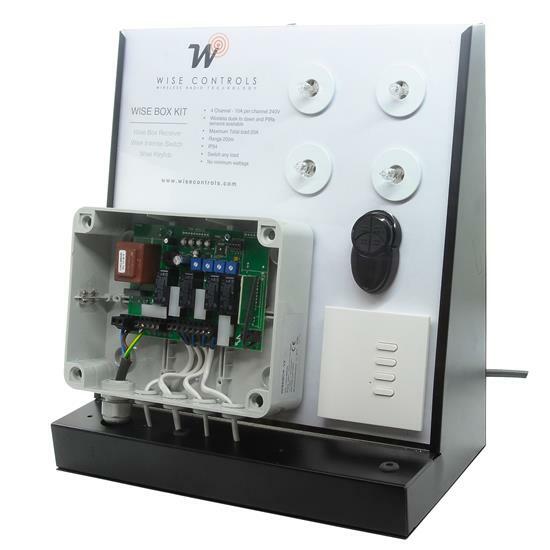 Version 2 features four PIR timer dials for each circuit, allowing up to 16 PIR's to be connected. 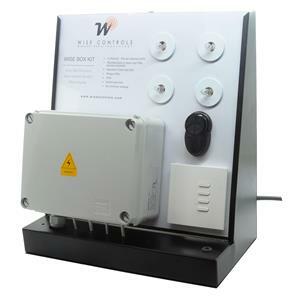 The Version 2 kit also includes a 4 button Ilike keyfob and a 4 button Intense wall switch. The keyfob and the wall switch included within the kit both have four buttons. 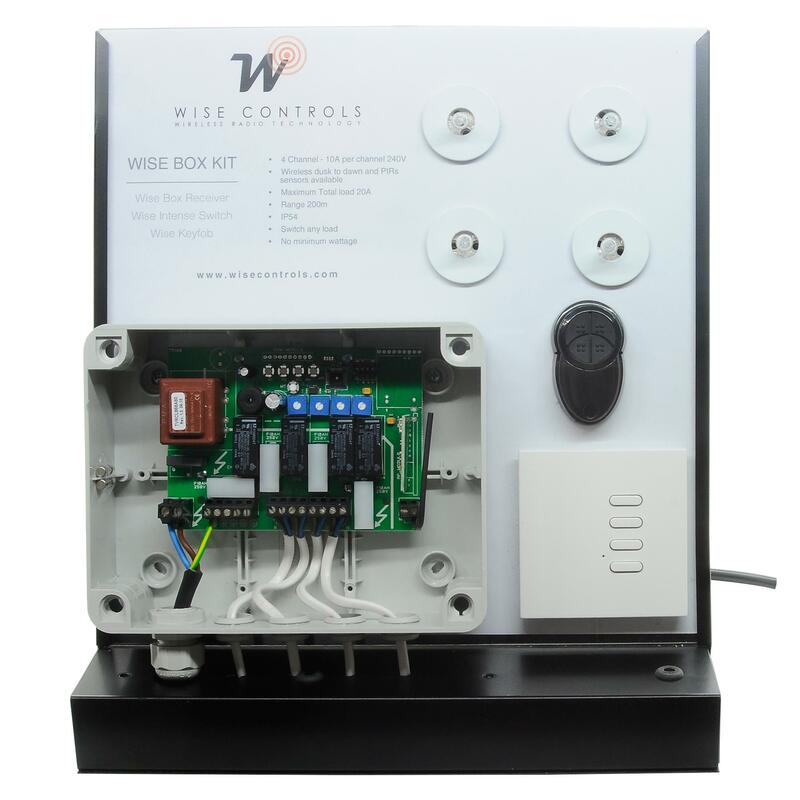 Once you have programmed the button of your choice to link with a channel, that button will switch the channels circuit on / off.You can add additional switches and remotes to a WiseBox if you wish, up to a maximum of 16.